What diet/ food to be eaten/consumed while having diarrhea/ Loose motions? Our lifestyle has drastically changed due to which our choices of food have taken a toll as well. I have many clients who come to me with various digestive issues. Mos of them have diarrhea or loose motions as common problem. It is good that they know that they face these symptoms when they eat something junky or eat outside food. So i would like to discuss what to eat when you suffer from diarrhea or loose motions. Frequency of eating out is going on increasing day by day due to which problem of food poisoning is also increasing. When we talk about food poisoning, basic symptom is diarrhea. It is very essential that diarrhea is cured in short period of time because it empty’s up all the water preserves of the body and imbalances the water electrolytes and thereby causing dehydration. So diarrhea is a very small symptom but recommended to take action to stop it in order to maintain healthy electrolyte balance of the body. A very common habit of every lay man is to stop eating or reduce oral intake to subside diarrhea. But that is not the correction solution. Body needs energy for its function. If you reduce the supply of energy body further goes into trauma because diarrhea is malfunctioning of the intestine where the bowel movements have increased causing multiple loose motions caused by infection, gastroenteritis, or dyspepsia. When someone experiences diarrhea, first thing to be stopped is milk and its products. After that green leafy vegetables and whole pulses. These are the common tips to stop diarrhea. These don’ts are known by majority of the people. Soft Drinks, alcohol, fatty foods, and fruit juices have also to be avoided because it can aggravate the diarrhea (osmotic Diarrhea). Raw fruits and vegetables also have to be avoided as they are high in fiber and increase loose motions. Majorly low residue food should be the choice of food. How to start BRAT diet in a patient having diarrhea? Quantity of clear liquids has to be gradually increased as per the tolerance starting with few sips at a time. If the liquids are properly tolerated without feeling of nausea and vomiting, gradually BRAT diet can be started. Toasts are also considered because they also have property of binding stool ad it gives energy because patient is not able to eat anything else. Maida products can be included for e.g. pasta, Semolina, rice products. Even after your symptoms have subsided, avoid raw vegetables, milk, cheese, coffee and fried or fatty foods for a week. Also go through the similar article. 69 Responses to What diet/ food to be eaten/consumed while having diarrhea/ Loose motions? List down your eating schedule from morning till night and list down foods which you feel you are allergic to. My son is severely suffering from loose motions for the past 3 days which has agrevated and now has the fever too. Just started with crocin advance tablet. How useful is lomotil. Can bana be eaten during fever? You can give him BRAT diet. Can I eat pista while loose motions ????? Follow BRAT diet if there is severe loose motions. My husband is suffering from loose motion from past 4-5 months.we are living in abroad we went to doctor so many times but they couldn’t find what the problem is. please help us and suggest me what shoud i do to make him healthy.i’ll be very thankful. Hi neha , I’m seriously affected by loose motion and nausea “vomiting”. So will u pls give clear solution for this abut what kind of food and liquid items can I take. Why do you have to send him to school, let him take rest. Health is wealth. Afta dihhrea I can’t eat properly feeling so weak and some headache what shoud i do? Madam I’m suffering from loss motions how to control this? I m archana. I want to know the diet for getting slim and shaped and good looking body. Also, suggest the diet to reduce my jaw lines. Can I eat cooked or boiled vegetables in diarrhra? If so, what vegetables to eat and what to avoid? You can add gourd family veggies during motions. Less oily and less spicy. You can add gourd family veggies during motions. Eat Less oily and less spicy food. And what to eat once diarhhea has stopped? How to transition into the normal diet? You can start normal food with low spice and low fat. I think i have gastric problem. So when i ate Biryani i drank one tea spoon of Gelusil. From next day onwards i’m having difficult stool like suddenly i’m waking up in the middle of the night and running to washroom again in the morning my stomach feels completely full with gas and again visiting washroom. Can you please describe me what kind of problem is this. you might have infected your stomach. DO you still have the same problem and complains? Yes, it started on Tuesday, still it is repeating. Daily in the morning the problem is repeating. Eat breads and maida based products like biscuits, toast, dark chocolates. Yes you can have thin dal. I do latrine after each meal in liquid form nd sometimes i fart(no sound) latrine comes with it also .this problem is from nearly 10 months.i go to every doctor but after leaving their medicine same occurs again.i m fed of it nd what is this disease i m not understanding.please reply…. Consult a neurologist and seek advise. Does Chapatti help to arrest loose motion? mam, am suffering from loose motion and fever n head ache, wat shall i do? avoid mangoes during loose motions. Eat apple and banana in fruits. i am suffering from loose motion, stomach pain and fever, and some bodypain. what shall i do? Im hvng dysentry sir since last month its more than 3 weeks n the medicine is not working as well its really problm to attnd the class so what shall i do Sir…??? Any tips….! 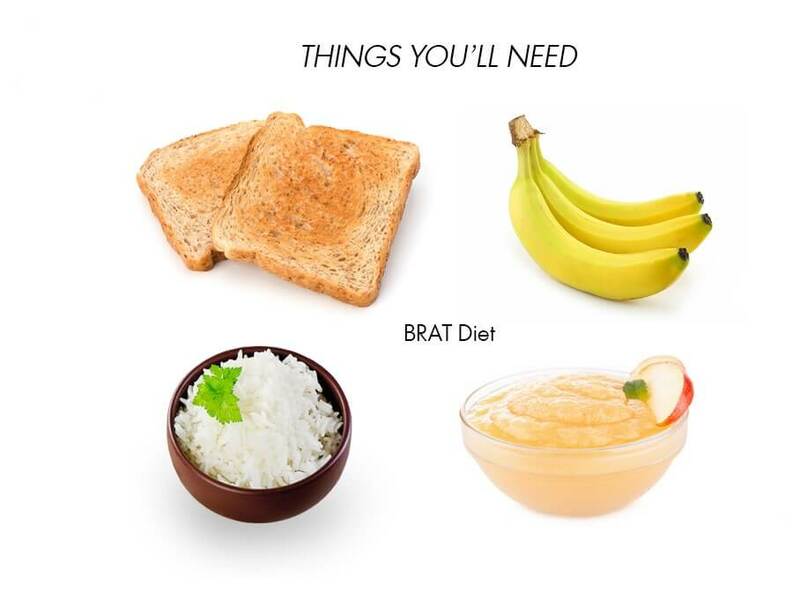 Did you try BRAT diet? Can I take lemon juice during loose motion? You can definitely take Lemon water during loose motion. It is the best drink to have during loose motions. You can also alter with buttermilk. You body is not able to tolerate spicy food. Why would it come in between socializing. Everywhere you have option in eating food with more spice or less spice. Feed your body as per the requirements.. There is no harm is avoiding spicy food if your body i snot accepting..
Hi mam, lm suffering badly due to loose motion.my stomach pains .what shall l do? Please have brat diet. Eat curd rice, khichdi, breads, banana, apples, lemon water,ORS (electral powder), dark coffee, tea. Avoid milk and fruit juices. I’m having stomach pain due to cold weather. So, I used to wrap muffler around the stomach and it gives instant relieve. But I think it has effects. But if I don’t do so, loose motion starts! What to do? What kind of problem it is? I don’t think wrapping a muffler around your stomach will reduce the pain and removing it could cause loose motions. But i would suggest to keep sipping in warm water and see how are the results. Hi , suddenly my wife has got stomach pain today and having loose motion 9 times till nw, I hv given her ofloxacin capsule and ORS , will it does work. Still pain is there. Eat white breads, apple, banana, pomegranate, maida roti, black or less milk coffee, curd, moong dal khichdi. Do you eat too spicy food?? or you eat meals with long gaps?? Are you facing acidity problems?? If none of these then kindly visit a Gastroenterologist and follow the advise. Yours symptoms are similar to that of stomach ulcers. Have white Pav with coffee ( More water less milk) or a chapati of maida. This should help.